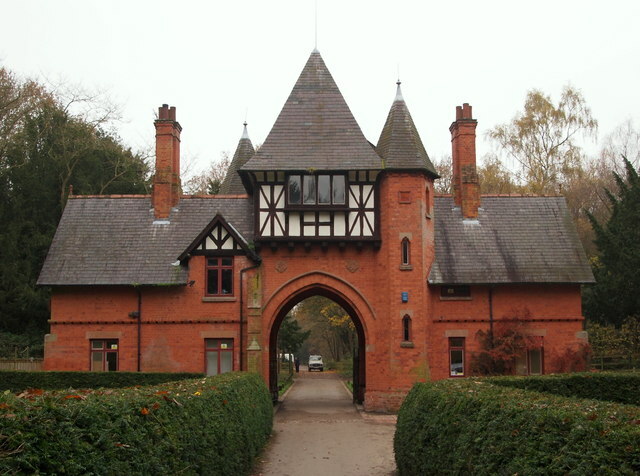 These twin Alexander Lodges on North Lodge Drive are occupied by the Country Park Rangers. The lodges - in Gothic Revival style - flanking a central archway were built in the early 1860s and restored in 1983. They were designed by Samuel Sanders Teulon, who also designed Bestwood Lodge (1862–65), now a hotel, for the 10th Duke of St. Albans. Beyond the lodges the driveway links to Bestwood village. © Copyright David Hallam-Jones and licensed for reuse under this Creative Commons Licence. This page has been viewed about 26 times.